Peter Milazzo is an Analyst at Eventi Capital Partners. Peter interned for two summers beginning in 2016, before formally joining the team in 2018. Peter has worked in a supporting role on multiple transactions during his time with Eventi. 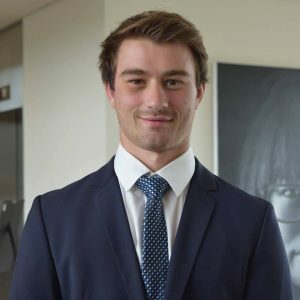 As an intern, Peter contributed to the diligence efforts for Tenzing Managed IT Services’ parallel acquisition and merger of ThinkWrap Commerce and Spark::Red as well as Eventi’s investment in BasePair Technologies Inc. Peter most recently assisted in executing the 2018 Kinetic Café convertible debt financing. In addition to Peter’s involvement in deals, he provides analysis and support to Eventi’s portfolio companies. Peter earned his HBA from the Richard Ivey School of Business. Outside of Eventi, Peter is an avid rugby player having competed provincially, nationally, and semi-professionally.